Premier League lates transfer news. Arsenal midfielder Santi Cazorla is looking to sign a new contract at the Emirates Stadium, according to SkySports. Arsenal midfielder Santi Cazorla is looking to sign a new contract at the Emirates Stadium, according to SkySports. Santi Cazorla has been exceptional for the Gunners so far this season, he has cemented his place in the starting eleven once again. The 31-year-old who joined the club from Malaga in 2012 has been linked with a move back to his homeland. The reports have linked him with Atletico Madrid. Cazorla told Cadena SER that Atletico is a great club and Diego Simeone is doing great at the club. Cazorla current contract expires next summer and the Gunners are yet to offer him a new deal. The Spaniard is very happy and is keen to get a new contract extension. The player made only 21 appearances for the Gunners last season but has scored twice, appearing in all seven Premier League games this season. 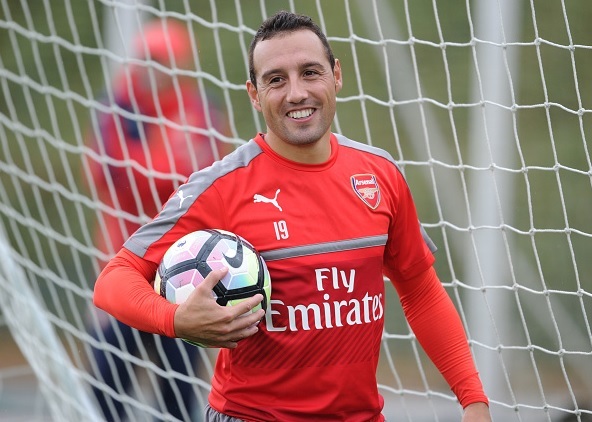 Cazorla told that he is very happy and his team mates are also very happy with him. He is confident that Arsene Wenger is planning to offer him a new deal. Meanwhile, Arsenal are set to offer a new deal to right-back Hector Bellerin, read full story. Arsenal are sitting on third spot with 16 points earned from the starting seven games.